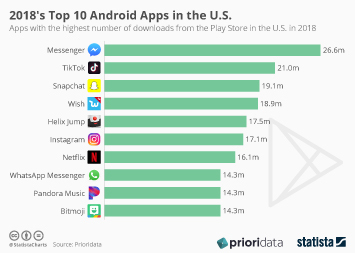 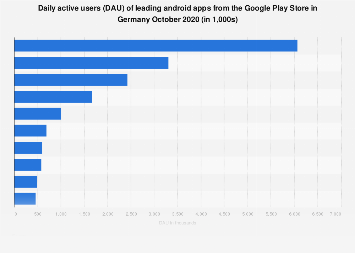 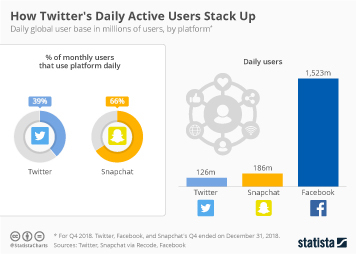 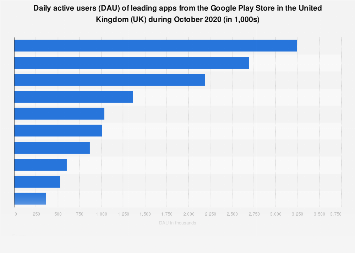 After three consecutive quarters of stalling (or negative) user growth, Snapchat added 4 million daily active users in the first three months of 2019. 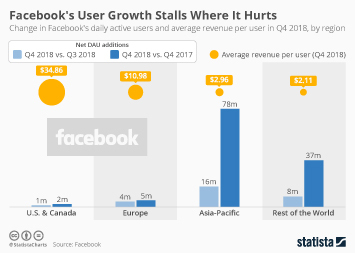 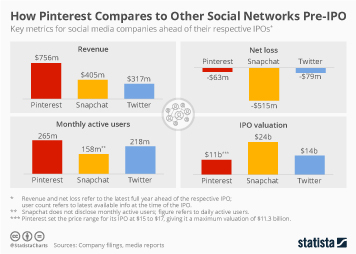 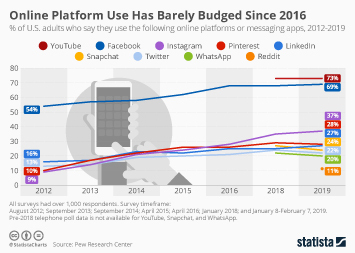 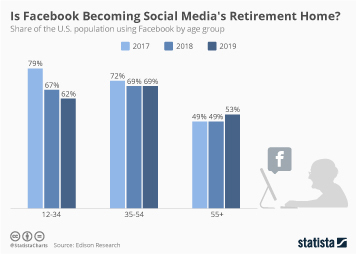 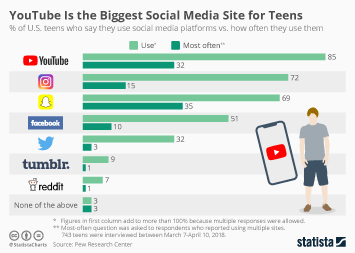 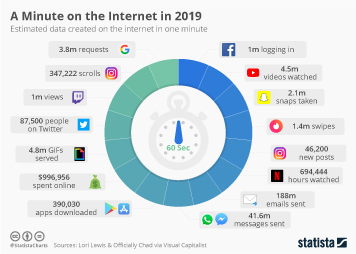 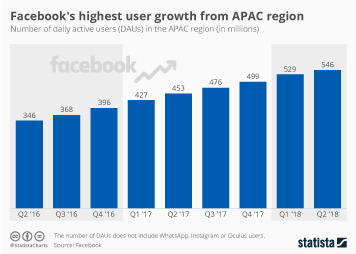 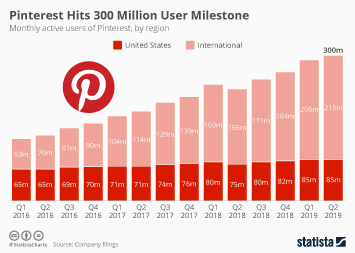 With 190 million daily active users, the social network competing with Instagram for the attention of young internet users in particular, still fell short of last year's first quarter though, when it had averaged 191 million daily users. 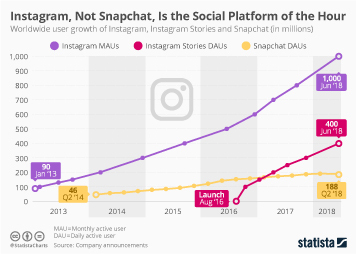 This chart shows Snapchat's user growth since 2014.